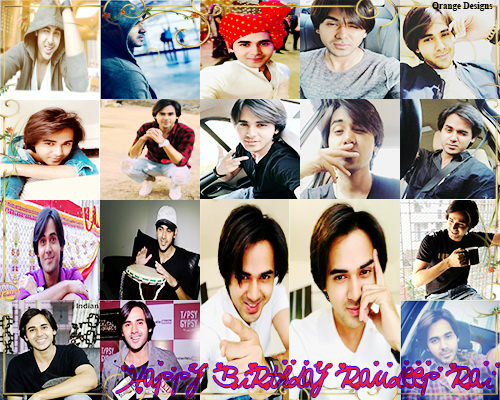 HAPPIEST 25TH BIRTHDAY RANDEEP RAI!!! Whether I shall turn out to be the hero of my own life, or whether that station will be held by anybody else, these pages must show---.Charles Dickens. 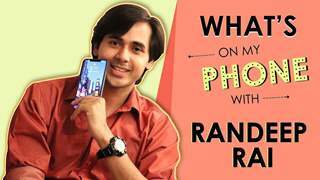 Randeep Rai is an entertainer,model and actor whose dictum of life is 'LOVE TO ACT'. True to his passionate dictum he loves doing advertisements, movies and TV Shows. Hailing from the famous historic city of India and the city synonymous with courage, bravery and self-respect, Jhansi,Randeep is just an aspiring boy who dreamt to make it big.He challenged himself to dream big and finally found the coveted success. His ideals and inspiration stem from the love of his sweet family and his alma mater Christ The King College. He stepped into the modelling world in 2014 and after years of hard work he is finally winning hearts by playing male protagonist in Sony TV's successful show Yeh Un Dinon Ki Baat Hai. He now has an immense fan following and he rightly proves that one must Dare to be the best one can at all times. He has been part of several modelling assignments too. Randeep is a youth icon, with the boy next door kind of face. He has bundle of TVC to his portfolio. He is up for all kind of challenging stuff. 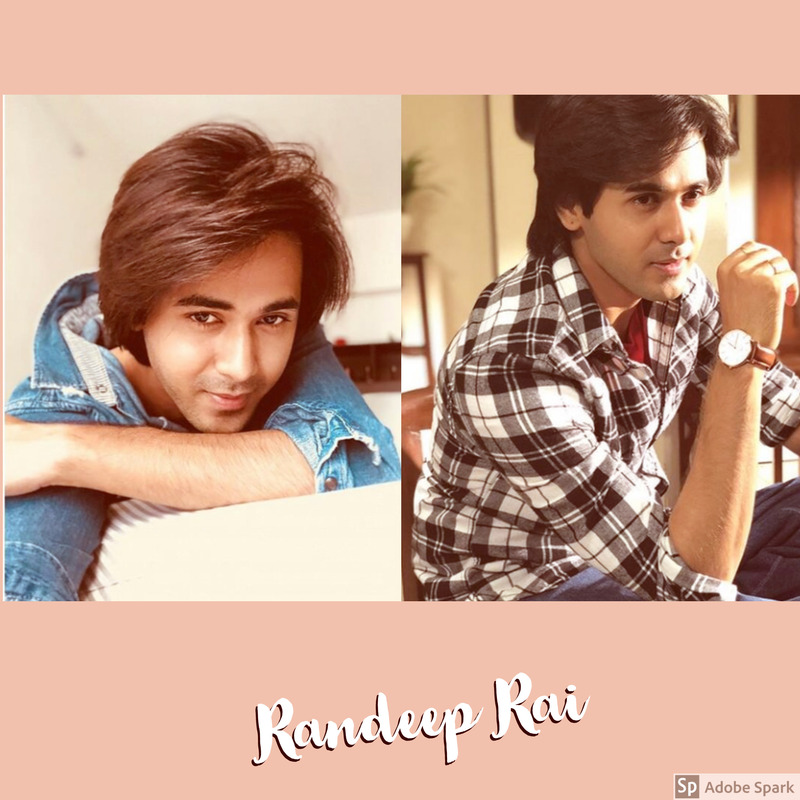 Randeep hails from a joint family from Jhansi.His family is into real estate business.His father Ravi Rai and brother Mrinal Rai are his real life heroes and guide.His mother Usha Rai.is a home maker, is the sweetest & humblest lady and he feels privileged of being her son. He shares a great offscreen rapport with his on-set friends.Raghav Dhir,Sanjay Choudhary,Ashi Singh,Ayesha Kaduskar,Kristina Patel,Rishina Kandhari share a fine camaraderie.He has Abhilash Kumar,Zain Imam,Eisha Singh,Srishti Jain from industry as thick friends. Describe yourself in 3 words - in three words.. Cool, calm, cute!? OK, so mom, dad and elder brother..aur main sabse close teeno ke hi because, the reason is, I'm the only one pure family mein ho ghar ke bahar hun. Jo bhi moments hote hai, khushi khushi ya gham ke, to main unke sath nhi hota hu, to I think main ab sabse close ho chuka hu. Aur waise agar aap puchoge, when I was like, jab main Jhansi mein tha, to dad ke close hu. no no no.. It was not planned. Bohot hi sudden sari cheezein hui hai. 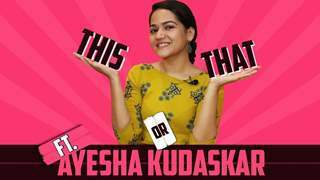 I was in Pune, to main aya tha, audition diya, it worked out, maine shoot kiya. So this is how it all worked out. So this is how dheere dheere kaam milne laga, to you know, phir wo raasta banta gaya. TV debut - O Gujariya, Channel V.
Favorite colour - Black and white.His Mom appreciates him in Royal Blue Colour. So,his pick is Royal Blue Colour too. Favourite dishes - Mummy ke hath ka sab kuch pasand hai. Aise main utna foodie nahi hu, to you know, ya...(He loves his mother's cooking especially Dal Makhani,Shahi Paneer,Gajar Ka Halwa). Jaisa ki I told you ki mujhe gadgets ka bohot shaukh hai, to kahin na kahin main usme busy rehta hu. Kuch naye cheez mein, kuch naya innovate karte rehta hu main, so ya. Favourite perfume - I think Wimmelion as of now. Wonderful change hote rehta hai, so abhi Wimmelion. Favourite actor - All-time favorite, Salman Khan. And aisa nhi h ki main TV show kar raha hu aur mera character unse milta julta hai, but haan, Salman Khan aur Ranbir Kapoor. Favourite singer - favourite nahi hai. 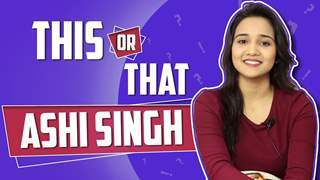 Gaane..see, it depends ki.. mujhe gaane pasand ate hai phir uske baad singer pasand singer pasand ate hai. So you know, it is like that. Thoda circle ulta hai mera. Favourite App - I think, abhi sabse zyada main busy rehta hu Instagram pe because I've crossed 100k followers, it's just the beginning [Congratulations] thank you so much. Abhi zyada main isme busy hota hu. Favourite emoji - Main bohot cute hu na, to smiley wali hi bhejte rehta hu. Favourite animal - Animal? I don't like them! Jabse Bombay aya hu to.. Jab main Jhansi mein tha to unki value nhi thi. Ab chhote se chhota festival bhi hota hai na to work mujhe bada lagta hai, you know kyuki main ghar se door hu to ab sabki value pata hai, to sare favourite ho chuke hai. Favourite cartoon - The wars, Popeye, Tom and Jerry, Bob the builder. I think jo bhi cheez aapko pasand hoti hai aur aapko lagta hai ki wo aapko suit karegi ya aap usme acche dikh rhe ho, to agar wo comfortable bhi nahi hote to bhi acche lagte hai. Isme meri definition thodi si weird hai but waisa main karta hu. Agar mujhe kuch accha lag rha hai, wo comfortable nahi bhi hai to wo automatic kahin na kahin, you know ho jata hai. Ya, I have Abhilash Kumar, he was doing Ghayal Once Again; Zain, who is doing Naamkaran, uhh.. Yup! So, as I told you, main gadgets ka bohot shaukh rakhta hu, so recently maine abhi iWatch kharidi hai plus, iPods kharide hai Apple ke. So, I think iWatch, my Apple iPods, my phone. These are 3 things, jo main chhod nahi sakta hu. Are you still an eligible bachelor/bachelorette, ready to mingle or you're taken - I'm not ready to mingle and I'm not taken. Last person you texted? - I can't tell her name. Of course not! She's a very good friend of mine. There's this girl, I don't know her name. She's from Hyderabad. Usne mere bhai ki kuch pictures bheje hai, ab I don't know wo sahi hai ya galat; usne literally aisa jo (pointing at his wrist) hum blade se karte hai na, to usne mera naam likha hai, Randeep. To work bohot scary bhi tha aur wo bohot, you know ek phsyco wali cheez hoti hai na, jise dekh k main bhi dar gya tha ki bhai, ye kya hai. Ab I don't know wo real hai ya nhi, but dikh to real hi rha tha. Baki bhagwan jane kya hua! Wo abhi hua h bas do-teen din pehle hi. Unko main yehi bolna chahunga..unko kya, main sare fans ko yehi bolna chahunga ki yaar matlab, hum log bhi aap logo ko utna hi pyaar karte hai, jitna aap hum logo ko kar rahe ho. Hum hai to aap ho, aap ho to hum hai. Wo ek give and take wali cheez hoti hai, equation. To itna pagal mat hoiye kisi ke liye bhi aur humein utna time nahi milta hai aapse interaction karne ke liye, aapke messages ka reply karne ke liye, kyuki hum apne kaam mein busy hote hai. Aur us kaam mein busy hote hai jisko aap dekh ke humein pasand kar rahe ho. To you know, humein time nahi mil pata ki hum aake personally aapse interact kar sake, to you know.. I love you all, aur apna dhyan rakhiye, acche se khaiye peeiye, mast rahiye, aur humara show dekhte rahiye aur pyaar krte rahiye bas. Nothing yaar! Main bohot hi calm person hu real life mein. Aisa kuch bhi nhi hai. Meri cheezein bohot straight hoti hai, to kuch bhi aisa nahi hai. Dear Randeep! Happiest birthday to you. I'm so happy because it's your birthday. Everyone would say you're charming, handsome yes that you are and more than that! You hold special place in my heart too. Your simple simle warm up my heart with a sweet feeling. Yeh Un Dinon Ki Baat Hai giving us a wonderful actor and we love your acting. You did it so naturally that we connect with Sameer easily. And hats off to your hard work which you do to entertain us. At last I want you to never change, be the same forever! 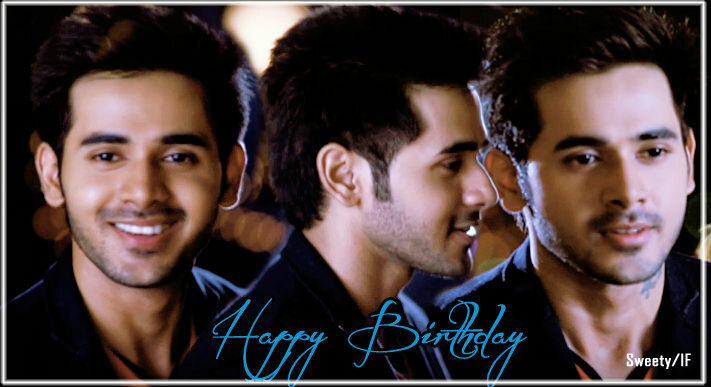 I wish happiest birthday to you, god bless you and fulfill your wishes and you grow more as actor. Love you alot, enjoy this birthday fullest. 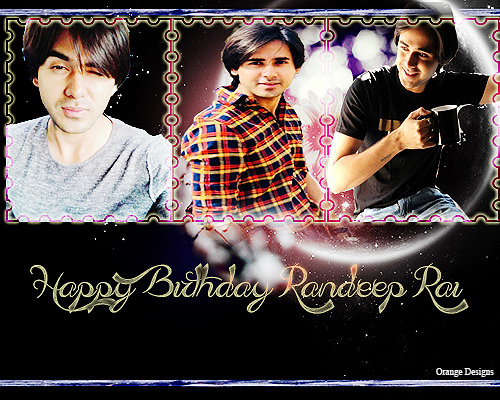 Hey Randeep wish u a very very Happy Birthday. May ur all wishes comes true..Keep Smiling Alwz. 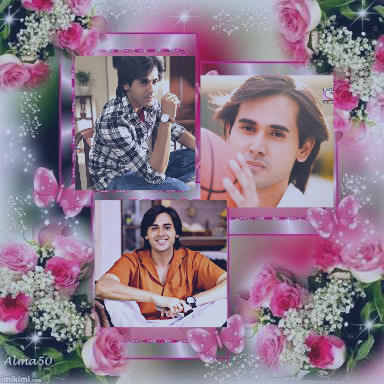 Randeep when I saw ur first entry as Sameer in the show I have fallen in love with u from that moment only. And from that day my respect and love just increasing and increasing for u.I adore the kid inside u the most. Never ever change for anyone. Lots of Love.God Bless u.. 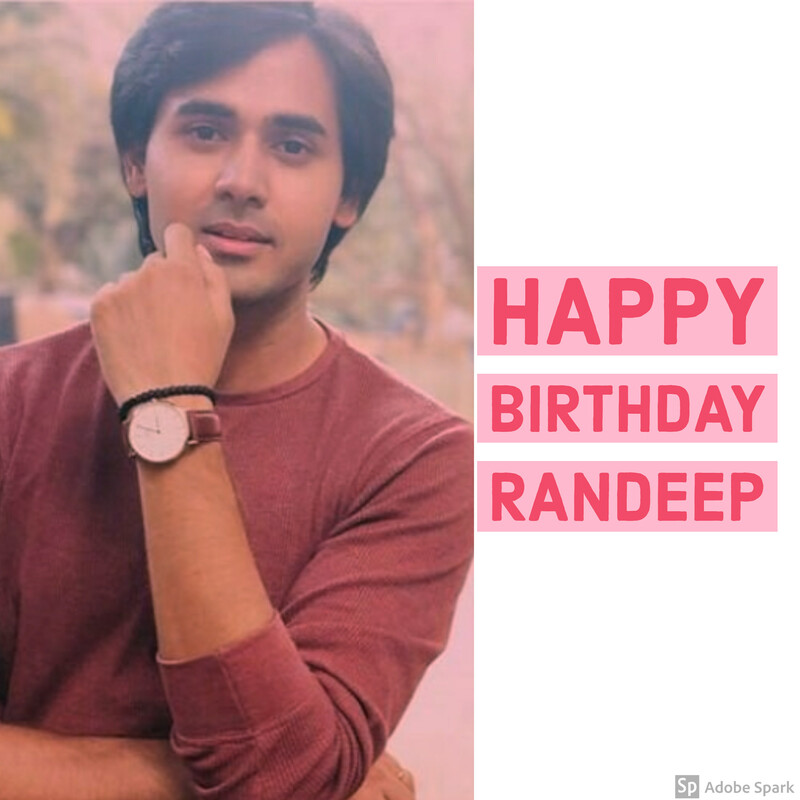 Many many happy returns of the day Randeep! 15th September 2017 is when I found about you as I accidentally came across our dear show and from then, there's been no looking back. I agree, Sameer is charming but you are even more charming and cuter than ever. It took barely three months for you to become my favourite actor and will remain in the future too. You gave life to The Sameer Maheshwari. 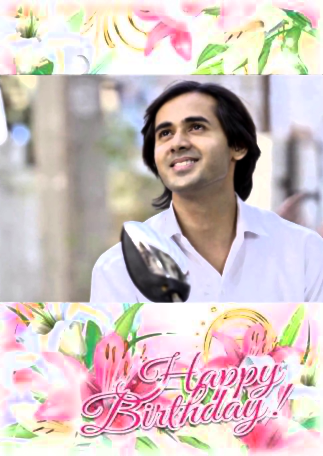 I have fallen in love with Sameer partly because of your amazing acting skills. You have transformed as an actor outstandingly, there's a huge difference now if we look back. Your journey as an actor is an inspiration to all the aspiring actors out there. The struggles you have had as finally paid out. You deserve all the success, appreciation and fame. Your magnetic personality has attracted millions and one of them being me. I like your sense of humour, your little self obsessed attitude, the hardworking quality, the dedication and the list goes on. Oh my, how can I even forget this!? Your love for hampers!!! I was glad when you got the hamper in the gift segment. Uff, you look so handsome when you keep your beard and moustache. You look cute just like a baby too when you shave and get into Sameer's skin. After Loki in Avengers, you are the next one whom I loved in long, wavy hairs. Oh, how I wish I could have smooth and silky hair like yours! Your laugh is like a music to my ears! Keep smiling and laughing! Best of luck to you in the future! I know great things lie ahead for you. Happy Birthday again Mr. Rai! 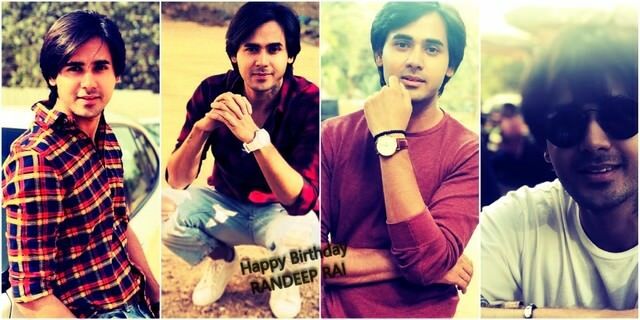 Happy Birthday Randeep.Happiest Birthday to the most sweet, adorable, loveable and down to earth young rising star with golden heart. 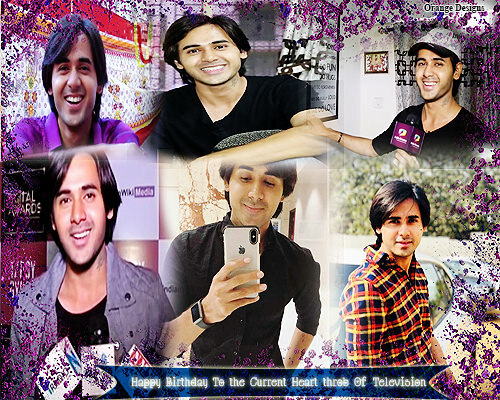 Like how I loved character growth of Sameer, I loved your growth as an actor and now you are just perfect. You amassed a massive number of fans by your suave looks and impeccable acting.Thanks for giving us Sameer Maheshwari which we can cherish for our whole life. Wishing you a birthday filled with beautiful surprises and lots of happiness. Wish you success, peace and prosperity today and always. Always keep your simplicity intact with you because that is what makes you unique than others.Always be happy and keep smiling with your expressive and deep eyes on this special day and forever to bring a smile on our faces and Yes, keep ignoring trolls, they don't deserve even a second of your life. Best of luck for your future endeavours. Have a blast! Wishing you all the happiness and success in your life..
Be happy cause that suits your face. The way you portray sameer is commendable. Each every emotion is on point. Must say you're growing young day by day and your acting is getting better day by day. Loads of love to you.. Happy birthday once again deepu!! The moment i saw u on tv i fell in love with ur style ur smile ur voice eveything Whenever i see u smiling a smile automaticalky comes to my faceWhenever u cry i feel brokenUr voice is the most soothing sound which i hve ever heardI fight with those who say something nasty about u I know there r millions of like me and i hope it would turn into billions trillioms soonAll i want is that u should achieve whatevee u want in ur lyfMay god bless u and be happy always A vert happy bday dear once again enjoy to the fullest and ur serial is also completing 200 episodes today congrats for that alsoLove u.. Happy birthday hero!May God shower you with love, prosperity and health.Wishing you success for all the coming years of your life.Stay happy and blessed! Dear Randeep,As you look back on yesterday, may your memories be warm ones. As you celebrate today, may your heart be filled with happiness and joy. As you look ahead to tomorrow, may your deepest hopes and dreams come true for you. 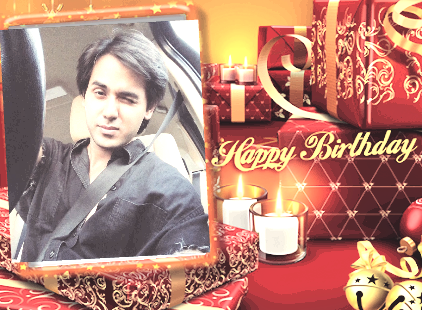 I wish you to celebrate all the wonderful things that make you so special, not just on your special day, but on every day of the year.God bless you, Keep smiling and Be happy alwaysWishing you a very happy birthday Randeep Rai!! 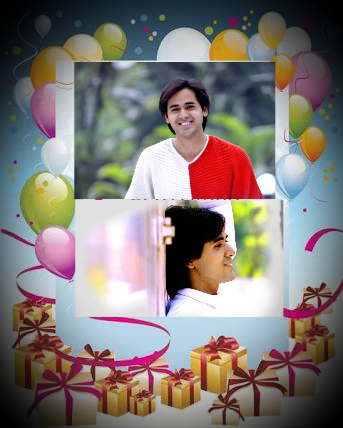 It would be no wonder if I say 8th june to be the best date of my life because this day God created the hearbeat of million hearts RANDEEP RAI ..Sometimes when I am in a deep thought I actually thank my stars that I started watching YUDKBH and saw the most handsome and lively man on Earth our Randeep Happy Birthday Randeep May you live for centuries and always remain blessed with love happiness abd success . Being an actor is not enough. It's the want, the drive to be a great actor is what is most important. The task of moulding yourself to the character you are portraying on-screen, to think, live and act as the character should is what is the most difficult to achieve and you have done is flawlessly as Sameer Maheshwari of Yeh Un Dinon Ki Baat Hai. As a viewer I have felt each and every emotion you have felt on-screen - the pain, the frustration, the confusion, the desperation, the love, the determination. Your willingness to perform and strive for the level of excellence is worth an applaud and ovation. Wishing you the best on your birthday and hoping you attain new heights each day! 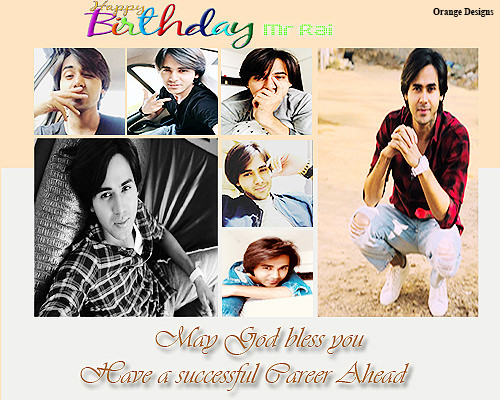 Many Many Happy Returns of the Day Randeep Rai...! Dear Randeep The show Yeh undino has introduced me to very impressive artist. Before the show, I was not aware of who you were. 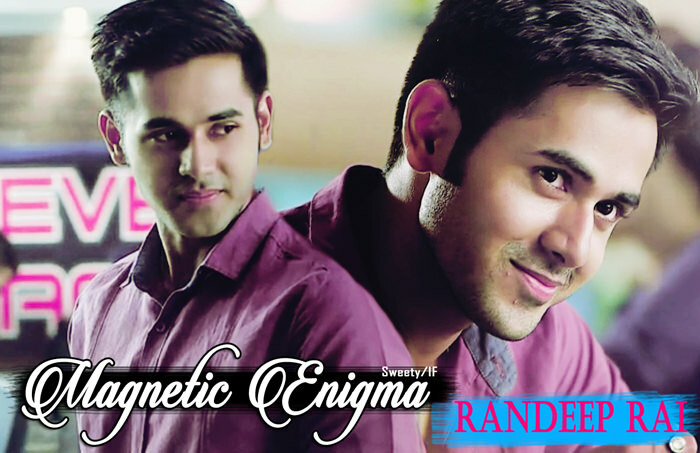 Your portrayal of Sameer is so endearing and you have already made an unforgettable mark. In your offscreen interactions, be it with fans or coactors, you come across as an understanding and a friendly person.Today is a very special day for you both on the personal and professional front. May all your birthdays be exceptional like today. Wishing you great health, happiness, and lots & lots of joy. As you traverse the journey of life, may you meet with success in all your endeavors!! 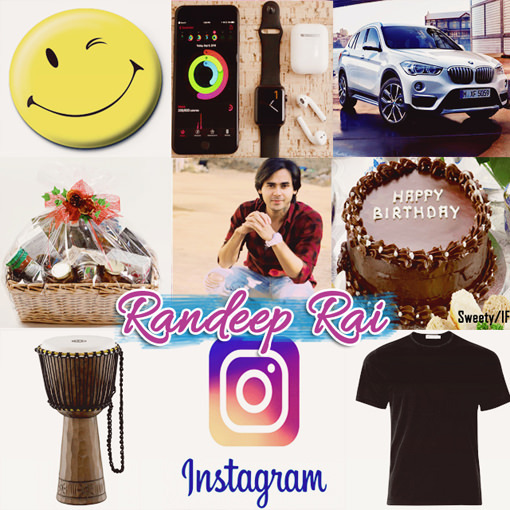 Hey Randeep aka Sameer Maheshwari! Happy Happy Happy Happy Happy Happy Happy Happy Happy Happy Happy Happy Happy Happy Happy Happy Happy Happy Happy Happy Happy Happy Happy Happy Happy Happy Happy Happy Happy Happy Happy Happy Happy Happy Happy Happy Happy Happy Happy Happy Happy Happy Happy Birthday!!! 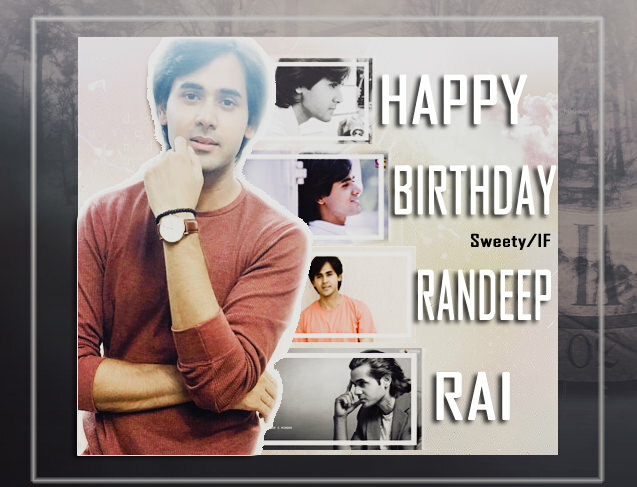 With mirth and laughter let old wrinkles come..Happiest birthday wishes to you dear Randeep.It's birthday time again, and You're a whole year older now! So clown around and have some fun to make this birthday your best one.Dare the challenges and be the apple candy you always have been.On your birthday we wish for you that whatever you want most in life it comes to you just the way you imagined it or better.Live life and celebrate your birthday KING Style.Happy birthday! About Randeep's Up,close and personal made by SweetyLina and Anjali together! Thank you participating member for making this thread successful! Randeep Randeep only Randeep ! I was right!